Each fluid end has removable stuffing box adapter rings designed to fit other OEM power ends. End bolt patterns are also available in either small bolt (1”-12 UNF) or big bolt (1 3/8”-12 UNF). 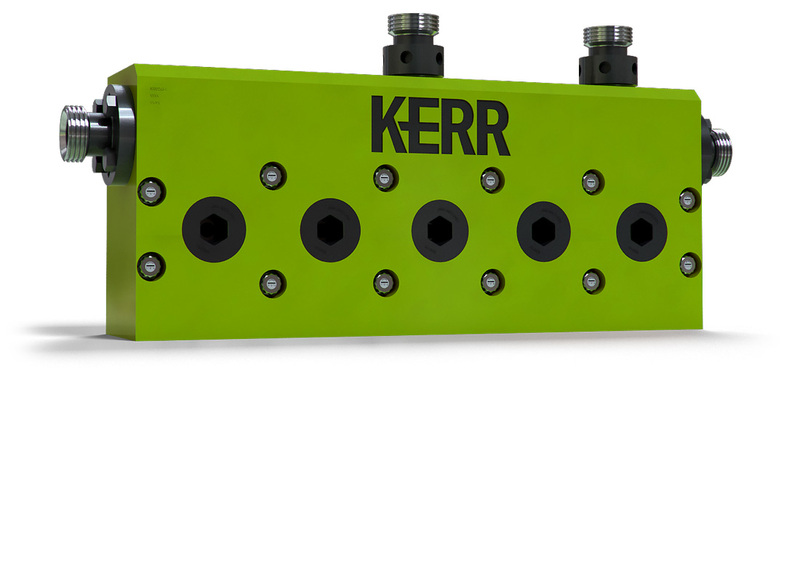 We are certain that Kerr Pumps fluid ends will be a great fit for your pumping needs. Our high strength, forged alloy fluid end blocks are made from some of the most advanced metals on earth. 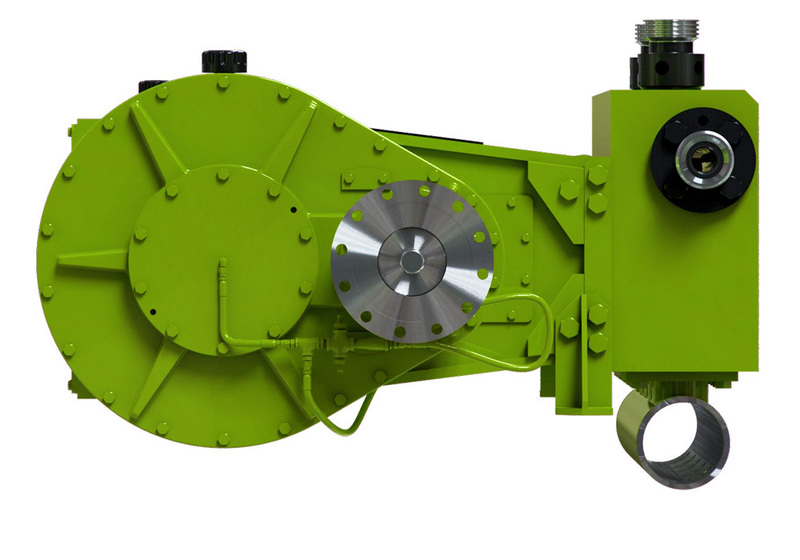 Every Kerr Pumps fluid end is also heat treated with our proprietary process for an extra toughness to withstand some of the most extreme pumping conditions. Our fluid end bolts are 12 point, high torque type with percent load gauges. This high tech bolting technology helps evenly set the engineered torque level that is required for assembly. The load gauges also enable you to easily maintain the perfect torque for safe and reliable field performance. 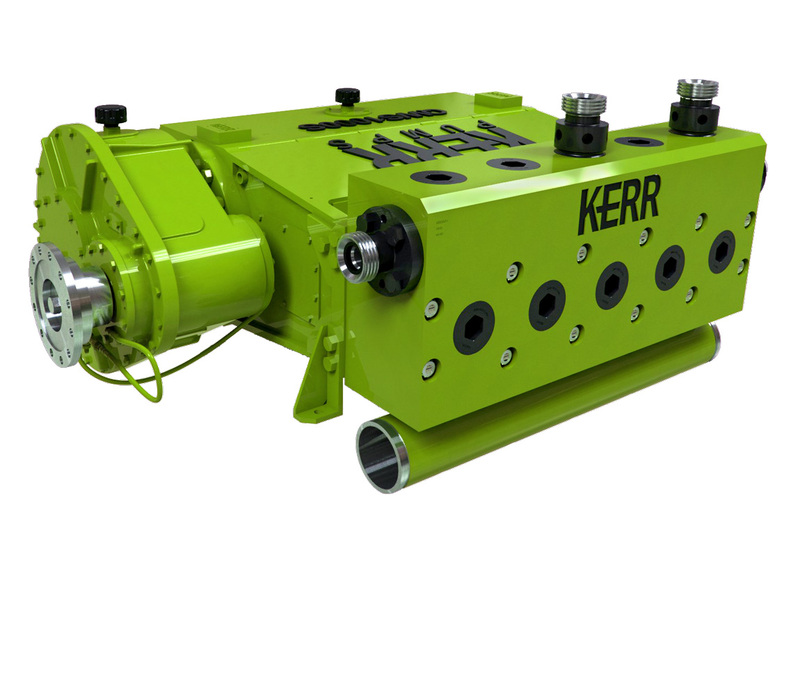 Kerr Pumps is one of the few pump companies in the world that makes their own gear boxes. 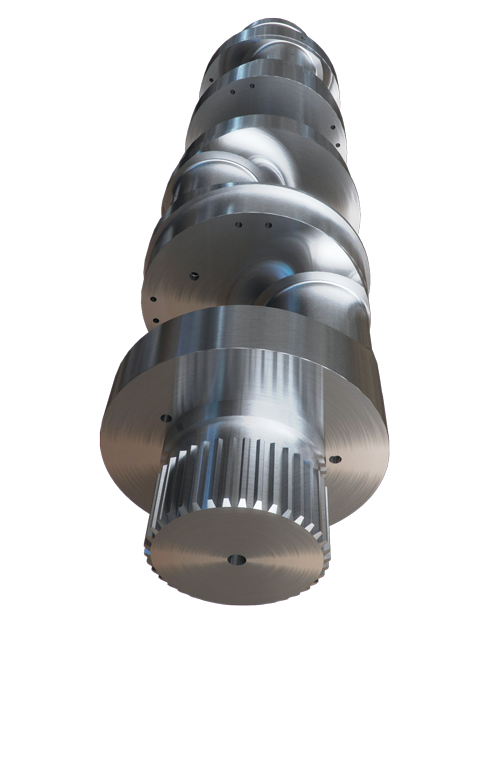 Our helical shaft pinion and helical gear is case carburized and hardened to an AGMA quality designation of 12. 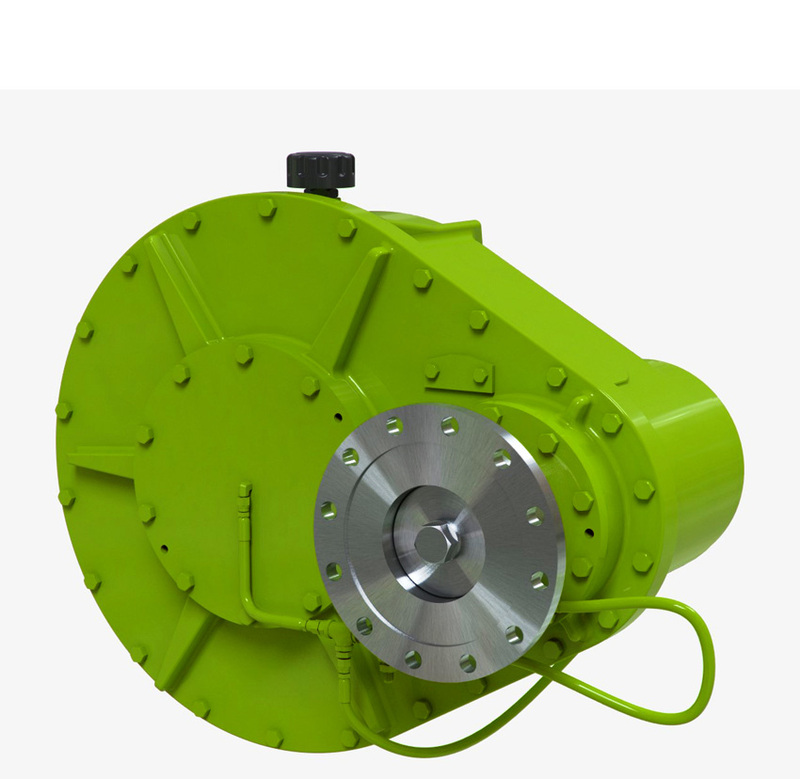 This higher hardness makes our gearboxes the toughest in the industry. 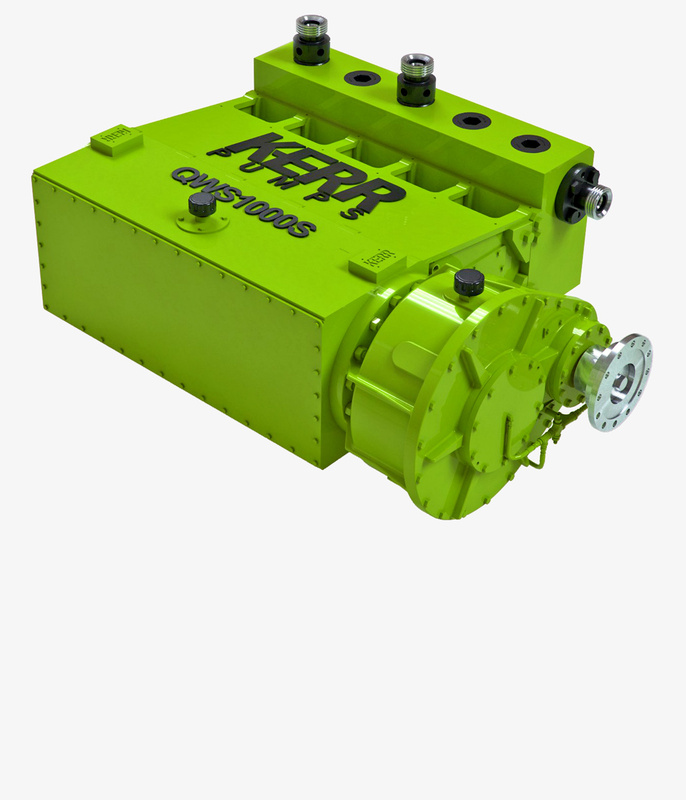 Our crankshafts have a calculated timing between the pins in an offset firing order that creates one of the smoothest running pumps in the patch. This design decision reduces vibration across the entire pump and increases performance from the power end all the way to the fluid end. Our power frames are made to fit with other OEM fluid ends. 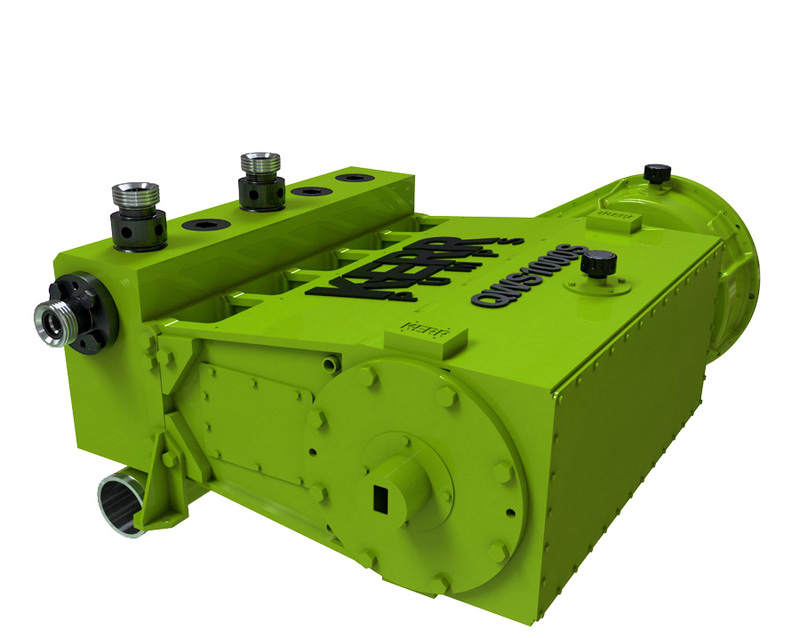 Each quintuplex power frame fluid end plate is drilled and tapped for both small and big bolt configurations. This unique design advantage gives you more flexibility in the field when you need to replace your fluid ends.